Well, movie studios are suggesting that hurricane Irene did some major damage to the box office this weekend (by as much as $25 million worth in potential lost ticket sales), as many movie theaters were shut down in the East coast... Well, that and the release of films no one really wants to see. This might be the lowest weekend for ticket sales of the year, next to Superbowl weekend. With that said, it was no surprise as The Help remained in the top spot at the box office... as newcomers Colombiana, Dont Be Afraid of the Dark, and Our Idiot Brother failed to move an audience and will pretty much will be forgotten by next weekend. And, as if you care, Conan the Barbarian dropped almost 70% this weekend, pushing it into floppage territory as it reportedly cost $90 million to make and only made $16.6 million so far. 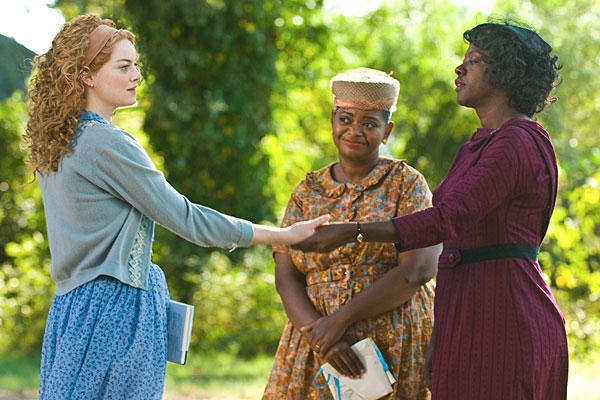 A few new movies open this late weekend in August each trying to dethrown The Help. You know what late August means... A low box office. Hit Factor: Reviews have been pretty positive so far (70% on rottentomatoes). Flop Factor: Seems like a very indie and selective audience type of movie. Flop Factor: I haven't really seen too much marketing for this film... not much at all. Hit Factor: From the mind of Guillermo del Toro. Flop Factor: Not directed by him. 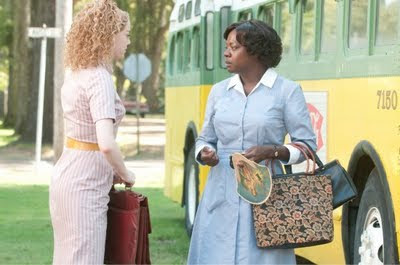 The Help's strong word of mouth aided in it's top spot at the box office... It's second weekend also beat out 4 newcoming movies, which all pretty much underperformed. Yes, Spy Kids: All the time in the World, Conan the Barbarian, and Fright Night all underperformed. As for One Day, it has a decent start, but very bad reviews may deter this movie from making any real money. 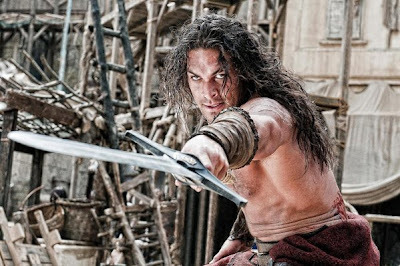 Conan the Barbarian and a slew of other unoriginal movies battle some Apes and The Help at the box office this weekend. Hit Factor: It can't be that expensive to make. Flop Factor: One of those, why are they making this remake? Hit Factor: This weekend looks weak so people might just see this movie because there's nothing else they want to see. Hit Factor: Budget almost as low as the previous Spy Kids movies. Flop Factor: All the Spy Kids movies sucked. Hit Factor: It's got the indie crowd type movie, but being wide released. Flop Factor: I have no idea what this film is about. The Apes, Rise of the Planet of the Apes, that is... took the top of the box office for the second weekend in a row with over $27 million. As for the newcoming movies, it was pretty much a topsy-turvy battle for second place with The Help surprisingly claiming that spot with just above $25 million. 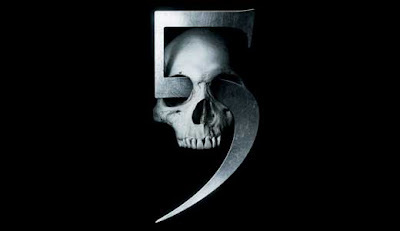 Final Destination 5 ($18.4 million), 30 Minutes or Less ($13 million) and Glee: The 3D Concert Move ($5.7 million) all fell just under expectations. Glee's lackluster performance was the reason it didn't even place in the top ten this week... ouch! On the bright side, it only reportedly cost, $9 million to make. The Smurfs, on the other hand, is still holding strong, just beating out 30 Minutes or Less for 4th place, helping it pass the $100 million mark. In other news, Harry Potter and the Deathly Hallows Part 2 is the highest grossing movie of the year domestically($357 million) and overseas ($829 million). It is also the third highest grossing movie off all time worldwide($1.186 billion), sitting just ahead of The Lord of the Rings: Return of the King ($1.119 billion), and behind James Cameron's Titanic ($1.843 billion) and Avatar ($2.782 billion). Domestically, Deathly Hallows sits in 17th place on the all time list, but look for it to climb past Jurassic Park ($357.1) tomorrow. 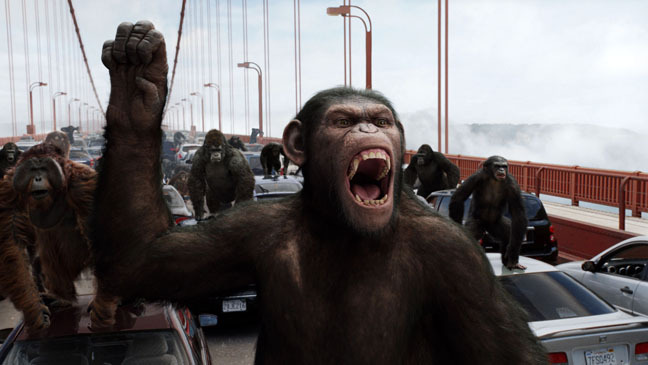 A bunch of movies hit theaters this weekend, each vying to defeat those pesky Apes. Hit Factor: The last film made over $186 million worldwide. Flop Factor: The last one was called, The Final Destination... It should have been called: The Final Destination... Not! Hit Factor: Trailer looks kinda funny... From the director of that other awesomely funny movie, Zombieland. 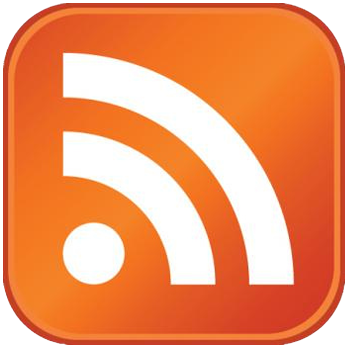 Flop Factor: For it's current mediocre reviews, there's too many foul mouthed comedies out in theaters right now, hitting the same target audience. Hit Factor: Based off a popular book. Flop Factor: Aside from it's readers, I don't think many others will see it. Hit Factor: Glee is popular with the kids these days. Flop Factor: You can watch the TV show in 2D at home... The Glee audience has plateaued. I guess there is still room for more Apes at the box office as Rise of the Planet of the Apes easily took the number one spot with about $54 million (probably due to its positive reviews). 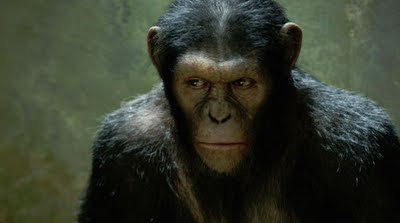 Look for more Apes on the horizon as this reboot success means more sequels unlike the Tim Burton version (yes, it grossed, $362 million worldwide, but failed to spawn a sequel). Meanwhile, this weekend's other new release, The Change-Up, made a meager $13.5 million (probably due to it's negative reviews). It also looks like Cowboys & Aliens will be chalked up as a flop as it dropped over 55% this weekend making it even tougher to recoup it's reported $163 million budget (unless, of course, a huge overseas box office is in the forecast). The Smurfs, on the other hand, which has worse reviews than Cowboys & Aliens, is still holding strong and will most likely see a profit against it's reported $110 million budget. It also looks like Harry Potter and the Deathly Hallows Part 2 will finally pass Transformers: Dark of the Moon in the next few days to become the highest grossing movie of the year domestically. A couple new movies hit theaters this first of August weekend. Hit Factor: Early reviews have been surprisingly positive so far. Flop Factor: Sorry, the trailer looks stupid. The last reboot with a bigger director and cast, didn't do as well as they expect. Hit Factor: Probably not that expensive to produce. Flop Factor: Seems like there are better comedies in theaters. Freaky Friday for guys, really?